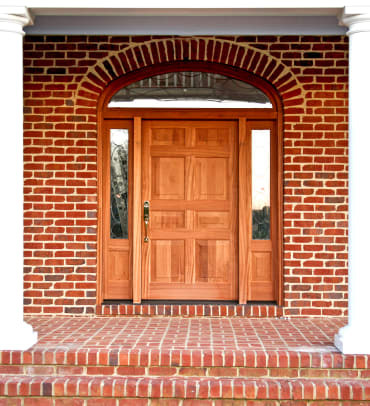 Hand-crafted custom wood doors, including Front Doors, Interior Doors, Garage Doors, Barn Doors and Custom Hardware. 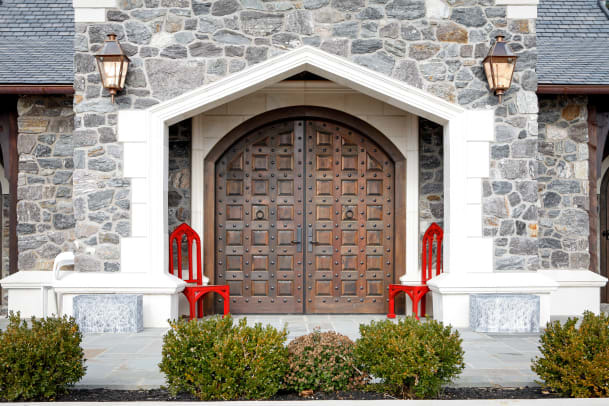 As a full-service, custom builder, Vintage Millwork and Restoration combines precision engineering and hand-built craftsmanship to design and build or restore high-end millwork items such as wood doors, windows, cupolas, hardware. 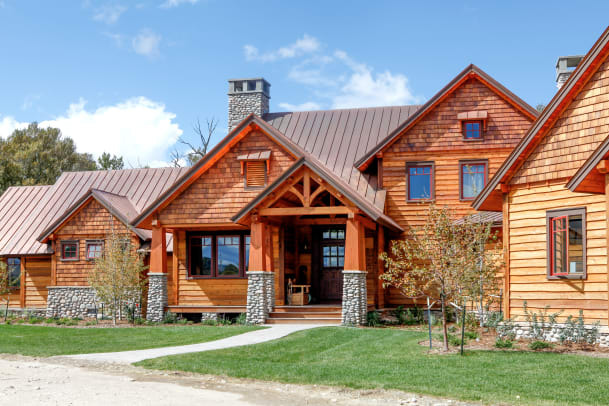 Our work starts by listening, followed by quality materials and construction practices to allow us to create beautiful buildings, door, and windows with customized style. Our legacy is rooted in the relationships we build with our clients and our commitment to only building the highest quality products. 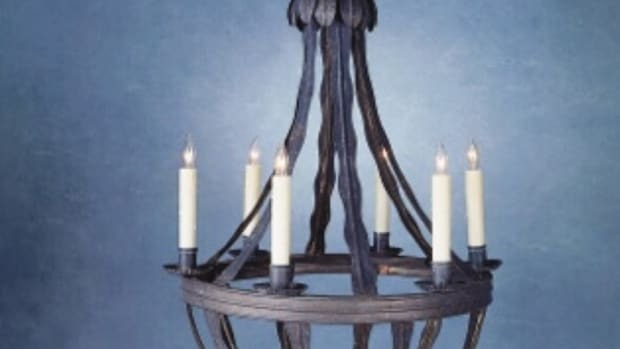 Vintage Millwork and Restoration was born out of the long-standing partnership between Ben Eshand Daniel Glick, founders and owners of B&D Builders, Mid-Atlantic Timberframes, and Mid-Atlantic Steel Fabrication. As a family of specialized companies, we have all of the in-house skill and expertise needed to bring your design or project to life. 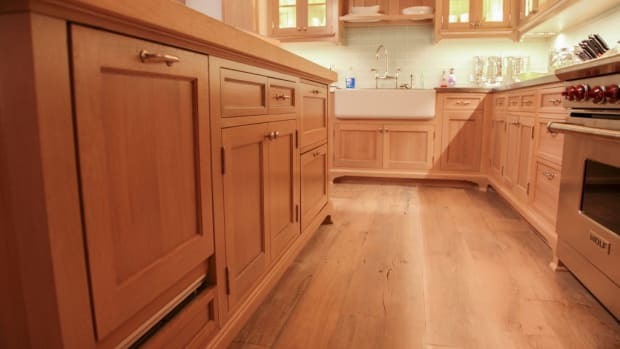 Each project is handcrafted in our Lancaster County, PA manufacturing facility, allowing us to keep strict control on the materials, construction process, and finishing details – so there’s never any guessing or passing the buck. We understand the demanding pressure architects and builders face. We also know the value of having a trusted, turnkey partner. That’s why we make it our job to make your job easier. If you need a custom-milled door, we have perfected a streamlined process to specify, order, and install our high-quality custom doors. Whether you need a handful, hundreds, or just one door, our team has the expertise and capacity to stay hands-on from start to finish. Our in-house Millwork Shop offers advantages. The same team that drafts your design also mills your door, so you can be sure that the design you approved is what you’ll see at the end. Our in-house capabilities provide you with turnkey service and timely turn-around. 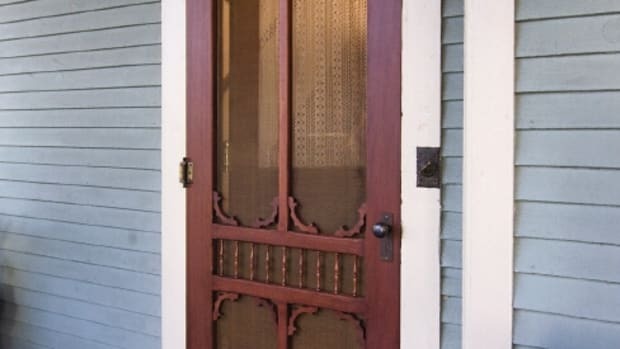 Custom manufacturer of authentic solid wood doors: handcrafted by expert craftsmen in any design, size & shape; entrance doors; interior doors; Dutch doors; screen & storm doors; three-season porch panels; pet doors & gates; garden gates & much more; proudly made in USA; nationwide delivery. Commercial & Residential millwork, including new and restored windows, custom cabinetry, wall & ceiling panels, mantels, stairs, and doors. 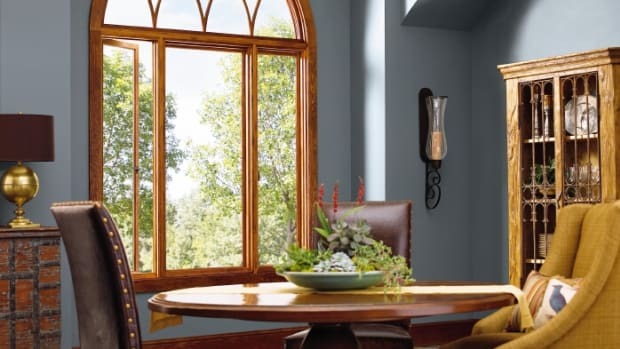 Manufacturer of all-wood & clad-wood windows & doors: round top, oval, casement & double hung; custom shapes & historic window replication; dual durometer, bulb & leaf weather stripping; storm windows; numerous design choices & glazing options.